Love nature and spending time with children? Join our team of mentors in providing awesome summer experiences for others- and yourself! 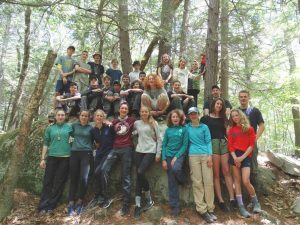 Develop and strengthen leadership skills, share your own wilderness skills and be part of a strong community – minded team. Counselors in Training (CITs) will directly support the Summer Staff by assisting with camp adventures, playing games, singing songs, telling stories and tackling chores and projects with a positive, helpful attitude.